Scholars of modernism have long addressed how literature, painting, and music reflected the radical reconceptualization of space and time in the early twentieth century-a veritable revolution in both physics and philosophy that has been characterized as precipitating an "epistemic trauma" around the world. In this wide-ranging study, Benjamin Paloff contends that writers in Central and Eastern Europe felt this impact quite distinctly from their counterparts in Western Europe. For the latter, the destabilization of traditional notions of space and time inspired works that saw in it a new kind of freedom. 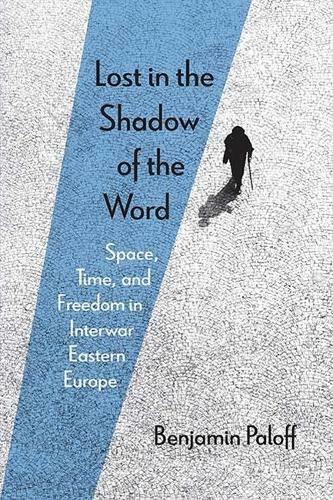 However, for many Central and Eastern European authors, who were writing from within public discourses about how to construct new social realities, the need for escape met the realization that there was both nowhere to escape to and no stable delineation of what to escape from. In reading the prose and poetry of Czech, Polish, and Russian writers, Paloff imbues the term "Kafkaesque" with a complexity so far missing from our understanding of this moment in literary history.